Shown here are staff from Del-One and Delaware State Police Headquarters, State Bureau of Identification: (front row) Charlene Young, DSP, (second row) Brandy Buzzuto, Del-One, Doug Hegman, DSP, Sarah Nash, DSP, & Dawn Chaffee, DSP), and (back row) Amy Durham, Del-One, Amy Resh, Del-One, & Capt. Dan Meadows, DSP. 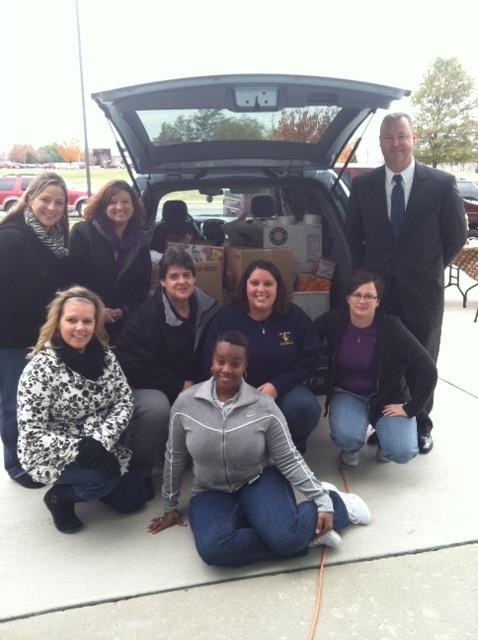 Del-One Federal Credit Union has wrapped up its “Hunger STOPS Here” food drive to benefit the Food Bank of Delaware. Donations were collected at all seven Del-One branch locations, and special events were held at the Smyrna, New Castle, Milford and West Dover locations.